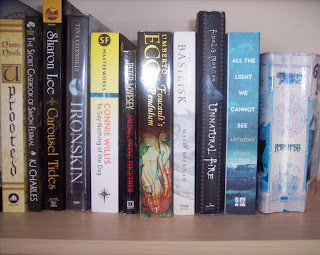 I look at my tbr pile somedays and wonder if I'll ever live long enough to read them all. 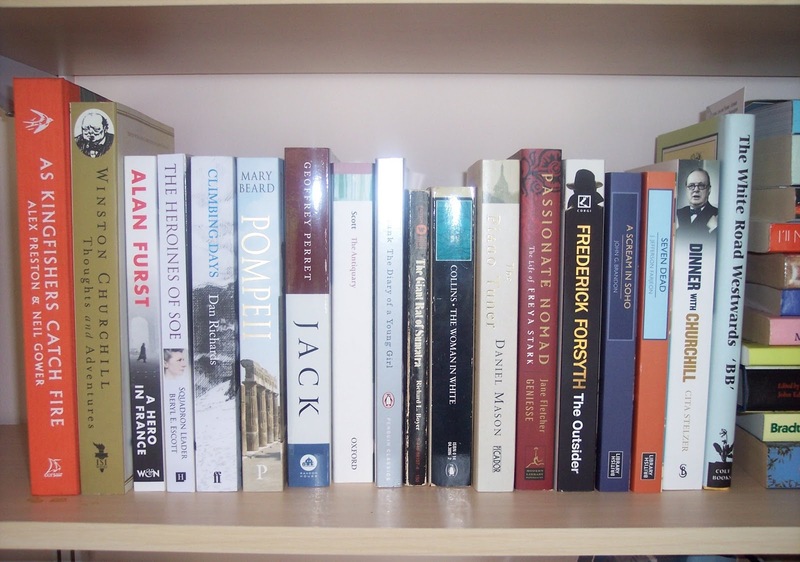 There're easily several hundred books, probably more, scattered round the house and sitting amongst those read books that I don't want to part with. 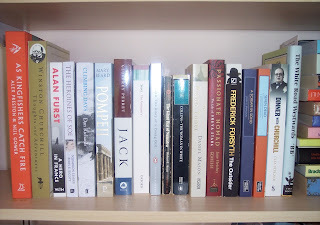 In my study I tend to keep those I plan to read soon and quite frankly there's plenty of those to be going on with. I stand and look at my bookshelves. 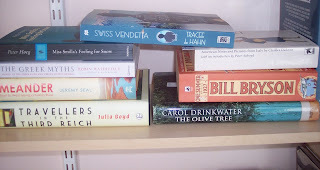 Books jump out at me, so I make a pile I plan to read soon. A week later I change that pile, put one or two back, replace them with other 'must read soon' treasures. 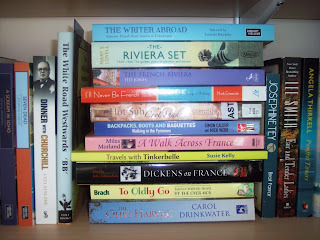 On this little pile we have two non-fictions about France (both about canal boating), a book of sci-fi stories from The British Library, a book of short stories about WW2, also from the British Library and two Patrick Leigh Fermor books. I want to read the biography about him but feel I should read the second book of his European wanderings before WW2, first. One of my big problems is being interested in everything, thus books here about Britain and its countryside, the weather (how much more British could you get? 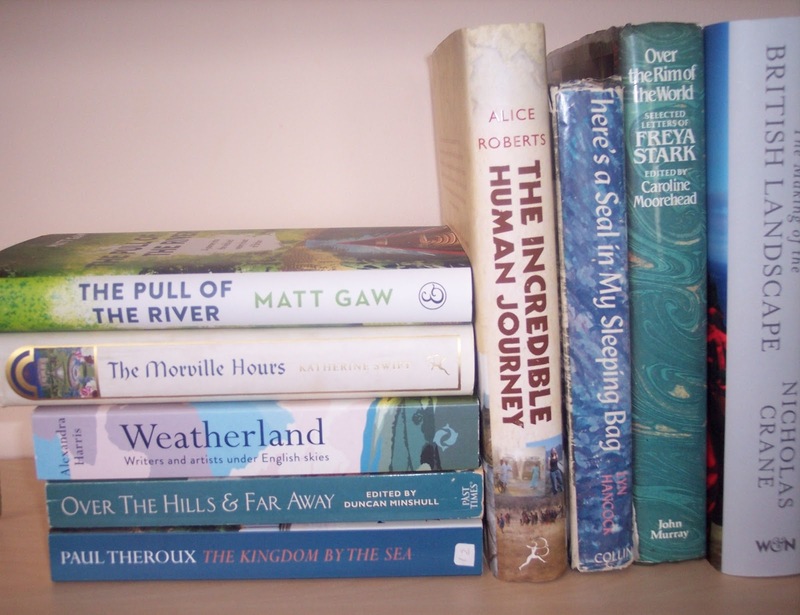 ), gardening, anthropology, travel, rivers, even Canadian Naturalists... I'm a lost cause really. 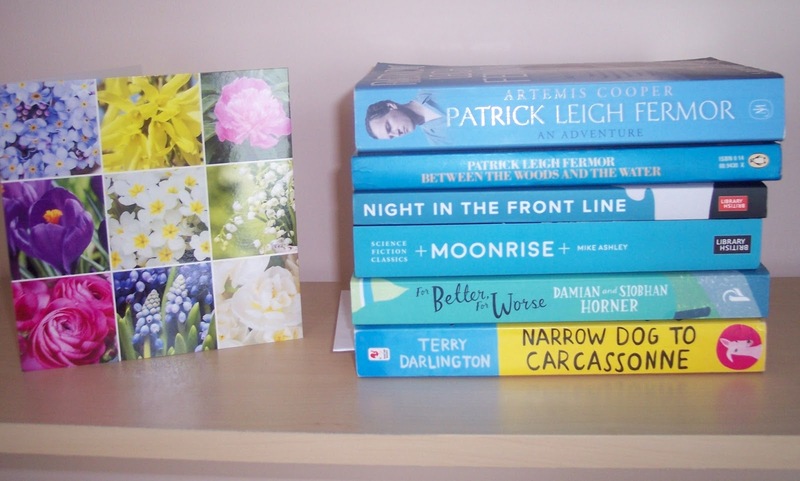 A couple of quick crime book reviews today. 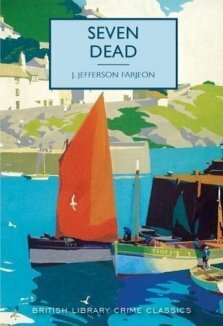 First up, one of the British Library Crime Classics, Seven Dead by J. Jefferson Farjeon. Petty thief, Ted Lyte, breaks into Haven House on the outskirts of a quiet coastal village in Essex. Intending only to lift a few silver spoons he gets more than he bargains for when he finds seven dead bodies in one of the rooms. Leaving in quite a hurry he's apprehended by Thomas Hazeldean, a yachtman who's just put into harbour. DI Kendall takes the case on and decides to accept Hazeldean's help. The yachtman takes off for Boulonge in France, to see if he can find the niece of the house, Dora Fenner. Find her he does... and quite a lot more. Well, this has to be one of the more unusual classic crime books from the BLCC. The book was written in 1939 and involves all kinds of shenanigans not normally associated with crime novels, which I won't go into for fear of spoilers. I liked the French connection and the weirdness of the French house and the people in it. You never really knew what was going on until the closing chapters and then it was all quite surprising. J. Jefferson Farjeon (wonderful name) was the author of the very popular, Mystery in White, which the BLCC put out several years ago and which I also really enjoyed. As always, there is a lovely cover involved, sadly no artist named, but it's from the National Railway Museum (York?) as it's one of those fab Railway posters. Lastly, Have Mercy On Us All by Fred Vargas. Honestly, this series goes from strength to strength. I never think the next book will be as good as the last but it always is. Each book teaches me something too. In one I learnt a little about The French Revolution and Iceland (yes, in the same book), another the Mercantour National Park in southern France near the border with Italy. In this book The Black Death takes centre stage and fascinating it is too. Adamsberg is a detective with flaws (aren't they all?) and in this he really messes up as regards a particular relationship. It's all good stuff and I love it. 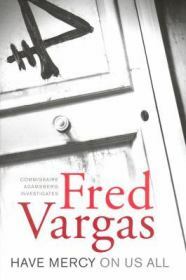 Fred Vargas is surely going to be my favourite author of 2018. 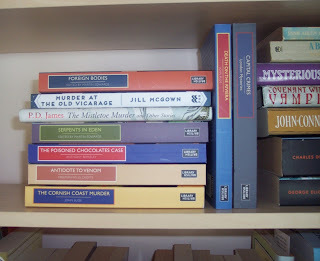 So, it's catch up time, two brief (well I'll try) reviews to do before I go to Cornwall in a few days. 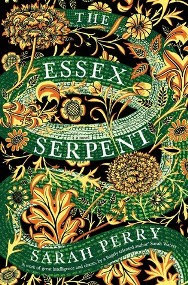 First up, The Essex Serpent by Sarah Perry. There's something in the air in the coastal regions around the village of Aldwinter, in Essex, something not quite right. Local villagers are starting to say that the Essex Serpent has returned, a dragon-like water creature that kills the unwary in the marshes. Cora Seaborne, newly widowed, takes rooms in Colchester with her companion, Martha, and is fascinated by the talk, thinking it might be an undiscovered species remaining from the dinosaur era. Natural history is Cora's passion and release from a deeply unhappy marriage has given her the freedom to, more or less, do as she pleases. She gets an introduction to the Aldwinter vicar, William Ransome, married with several children and also an amateur naturalist. Cora is not religious or superstitious, Will obviously is religious but like Cora doesn't believe in mythical monsters. The two get on like a house on fire but are not fully prepared for the consequences of their investigations and the effects on the people around them. I started reading this book about 18 months ago. I knew it was a slow burner and about 70 pages in it was doing nothing for me so I put it to one side 'for another time'. The other time arrived a couple of weeks ago and I tried again. What a difference and it only goes to show how your mood can affect how you enjoy a book. Yes, it is very much a slow burner but this time I enjoyed all the explorations, off tangent, delving into the medical world of the late Victorian era, the frustrations of women with brains who weren't expected to want to do anything with them, life as a vicar at that time and so on. Fascinating stuff. To be honest it's very much 'not' an action story. Not a great deal happens but the author has made the mundanity of ordinary people's lives interesting. I felt for Cora, not only a very nasty marriage but a strange son to cope with, clever but unable to do what men do when they're clever. The things that happened around her, romantically speaking, not of her making or encouragement, but she got the blame anyway. This book divides people and I can see why. 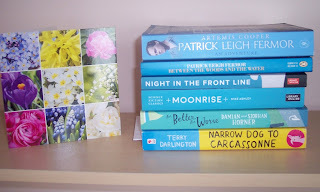 It is slow going at times, and it's true not a lot happens, but I really enjoyed it and look forward to reading more by Sarah Perry... she has a new book out in October I think, Melmoth, another weird one by the sound of it. Good-oh. 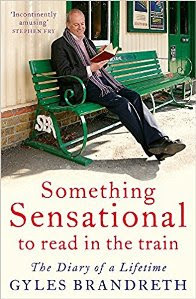 Lastly, Something Sensational to Read in the Train by Gyles Brandreth. 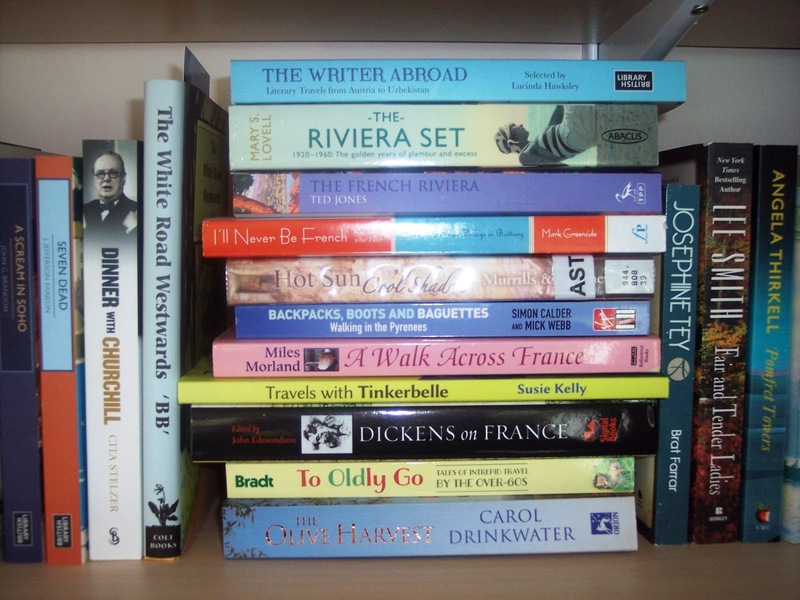 The author, Gyles Brandreth, is a household name in the UK. He's been on TV for many years, Breakfast News, Countdown, Have I Got News For You?, and these days on The One Show quite a lot. He's kept a diary since he was eleven years old and starting at his first boarding school, Betteshanger in Kent. For people who were state school educated there's always a fascination with what went on in private schools, probably why some of Enid Blyton's books were so popular. The sections on Betteshanger and later, Bedales, didn't disappoint and reminded me of Stephen Fry's private school experiences (can't remember which one he went to though) in Moab is my Washpot. But Brandreth didn't hate boarding school as much as Fry, in fact he fitted in rather well, due partly I suspect to Bedales being progressive and co ed. At Oxford he got very involved in acting and producing plays and this led to a career doing similar things. I was unaware though that he had so many other strings to his bow, he's a creator of word games and books on them, started the Scrabble World Championships, is vice-president of the NPFA and knew The Duke of Edinburgh quite well (he was president), an after-dinner speaker, journalist and so on. Brandreth is also a very prolific author and is probably best known for his historical crime series about Oscar Wilde. The list of people he's met, worked with, and interviewed is extremely long and impressive. I loved all the annecdotes, the insights into a lot of famous people, some of it rather surprising, and hearing about his close friendships, family... his wife sounds like a real gem. In the 1990's he became the Conservative MP for Chester but lost his seat in 1997 during Tony Blair's Labour landslide election. The political sections of these diaries read like Yes Minister or House of Cards and reveal a lot about our parliamentary system. Some of it is very eye-rolling although having read autobiographies by Ed Balls and Ann Widdecombe none of it came as much of a surprise. All in all this was an excellent book, quite long at almost 700 pages but well worth reading - Brandreth's style is conversational and easy to read, you feel as though you're sitting with him having a cup of tea and a chat. You can't ask more than that. 17. 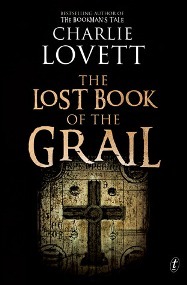 The Lost Book of the Grail by Charlie Lovett. 18. Three Men and a Bradshaw by John George Freeman. 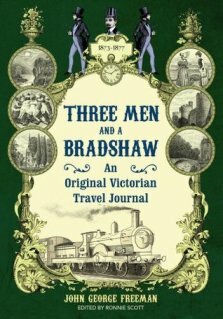 The author's diaries of holidays he took in the 1870s with various members of his family, mainly brothers. Areas visited included North Devon, Wales, Scotland, Jersey etc. Very enjoyable, especially when they were visiting places I'd been to. Just after we came back from our uni trip to Aberystwyth with our grand-daughter I got to the bit where the author was there, for instance. The holidays were mainly walking holidays and underlined to me how much walking they did in those days that we don't do 'these' days. They thought nothing of walking 20 miles a day. Anyway, a very enjoyable book, deserving of being better known in my opinion. 19. 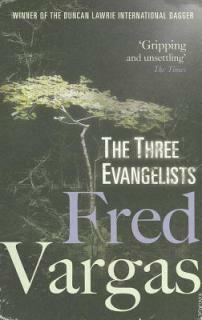 The Three Evangelists by Fred Vargas. 20. Killing Grounds by Dana Stabenow.